Vet Billy Mitchell seen with his signature American Flag. Air Force's Erin Rost on her way to 2nd place overall. 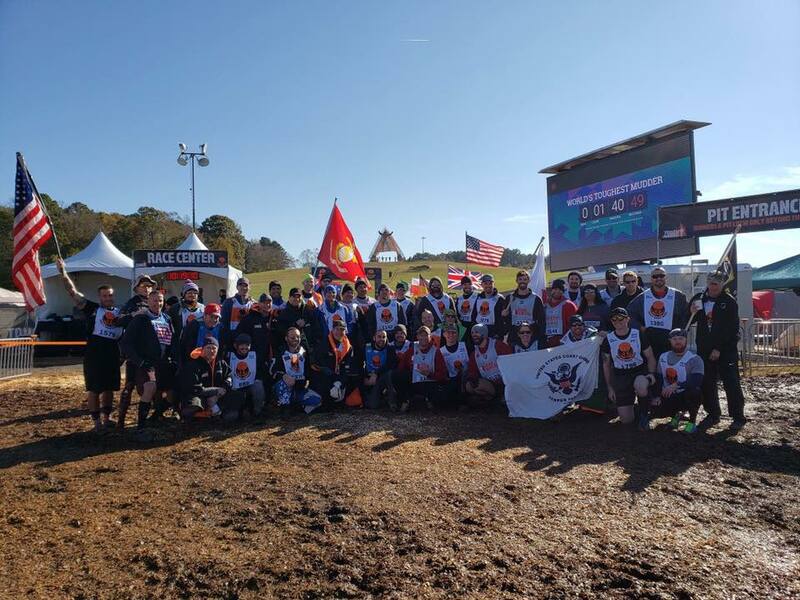 Rather than redo the same article (read the original here), I wanted to focus on the rest of the vets at the race with the question of “Why do you race World’s Toughest Mudder?” The event includes obstacles such as cold water submersion, sleep deprivation, and electrical shocks. This would be considered torture if you treated a prisoner of war the same way. So I wanted to know as someone who has already proved that they can handle some physical and mental punishment by completing things like boot camp, military training courses and combat, why continue to subject yourself to this type of event? “Fun”: While I’m sure some would disagree with me, personally, I view my deployments as simultaneously some of the best and worst times of my life. Navy vet Mark James starts his 24 hours of fun. I like to use the phrase “it’s all fun and games until someone loses an eye” when describing my combat experiences. As long as everyone comes out okay, I loved the experiences. This is a different type of “fun” that falls on what I call “The Fun-Danger Spectrum”. With the high caused by adrenaline and endorphins of doing something challenging and dangerous. At the low end are things like riding a roller coaster, further down are things like hiking over rough terrain and Tough Mudder, then further down are things like skydiving and World’s Toughest Mudder (WTM). While the threat of death is pretty much non-existent at WTM chances of going to the medical tent gives you some of the thrill without being in a completely controlled environment like a theme park. For most people when you get to far into the danger area of the spectrum (i.e. BASE jumping, wing suit flying, parkour on skyscrapers, combat, etc. ), the thrill outweighs the risk. 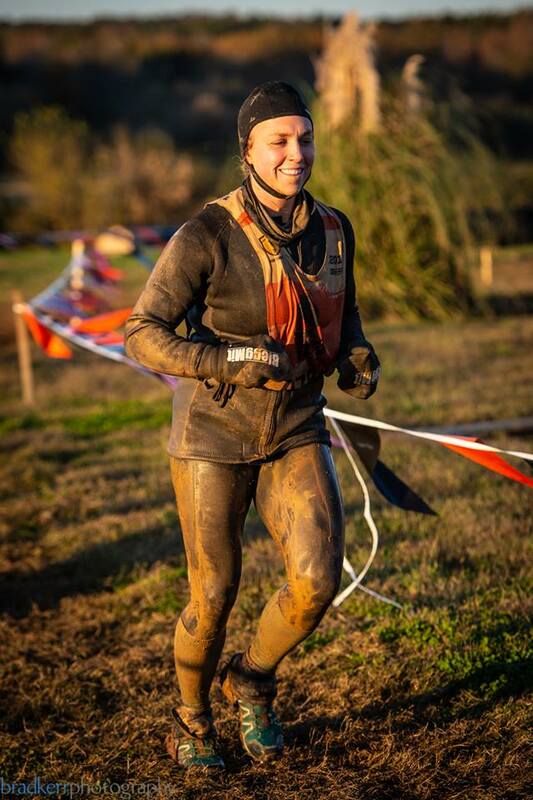 I’m not the only vet that thinks that WTM is fun, Army Combat Engineer Cutler Holland races because she thinks it is fun and pretty much every other person on the course on some level agrees. For Charity: There are a lot of great charities. My personal favorite is Folds of Honor (which is who I raised money for during Endure The Gauntlet 48). Many other vets find a strong sense of worth in helping others. The military is built upon putting yourself in danger to protect others. Not surprisingly, this sometimes carries over into charity work. 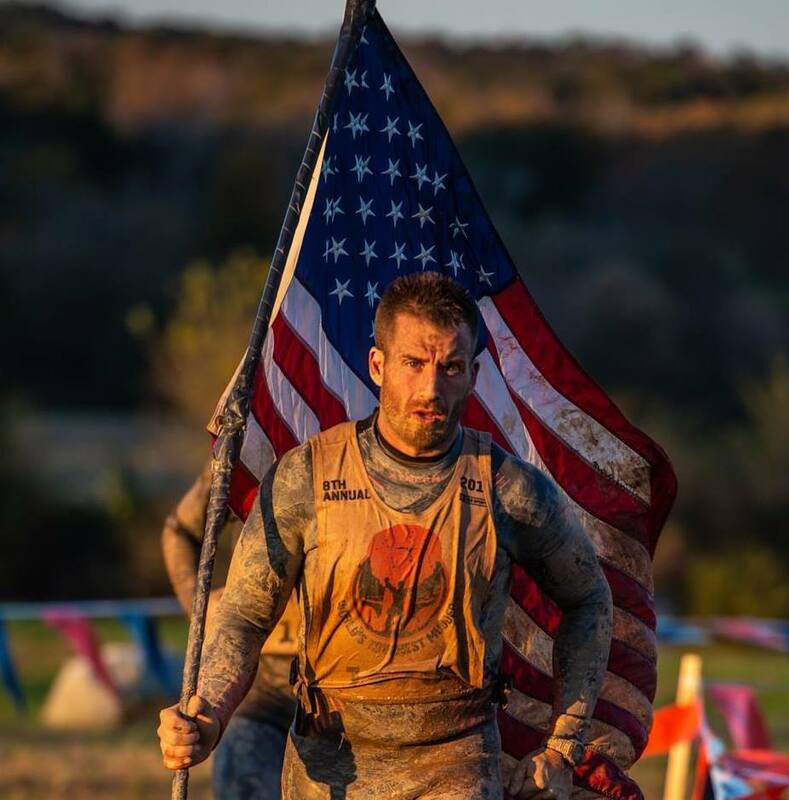 Athletes like Air Force’s James Bakula represented for Operation Enduring Warrior (an OCRWC favorite) helping adaptive athletes reach their goals. Just like WTM and USMC Infantry vet Brian Juaire. Plus, many were out there for the official charity partner, Team Rubicon including US Navy’s Aviation Rescue Swimmer Megan McKee and USMC’s Presidential Security Kazimieras Urbonavicius. 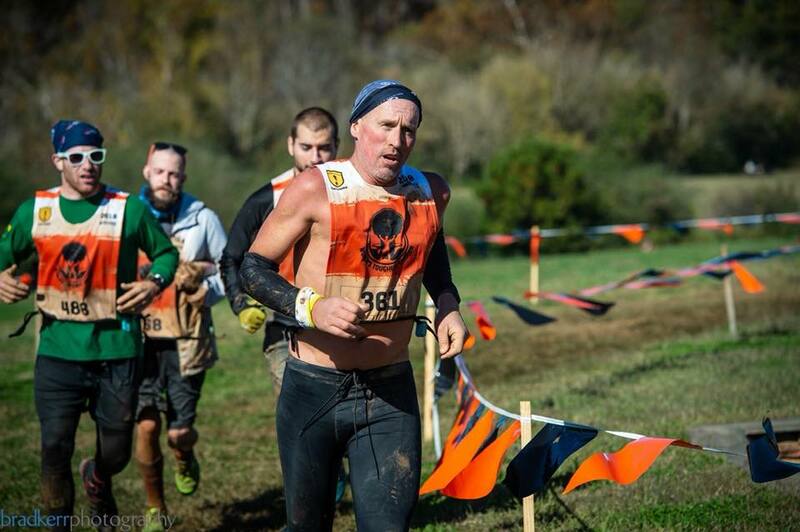 Camaraderie: The military has a strong sense of camaraderie, there is no doubt there, just like World’s Toughest Mudder. The reason is simple, shared hardships create strong bonds. You saw it on shows like The Selection, you can see it on sports teams that practice hard together and you saw it at World’s Toughest Mudder. Atlanta, with the coldest temperatures since New Jersey WTM, made those bonds stronger than I have seen in past years at Las Vegas. 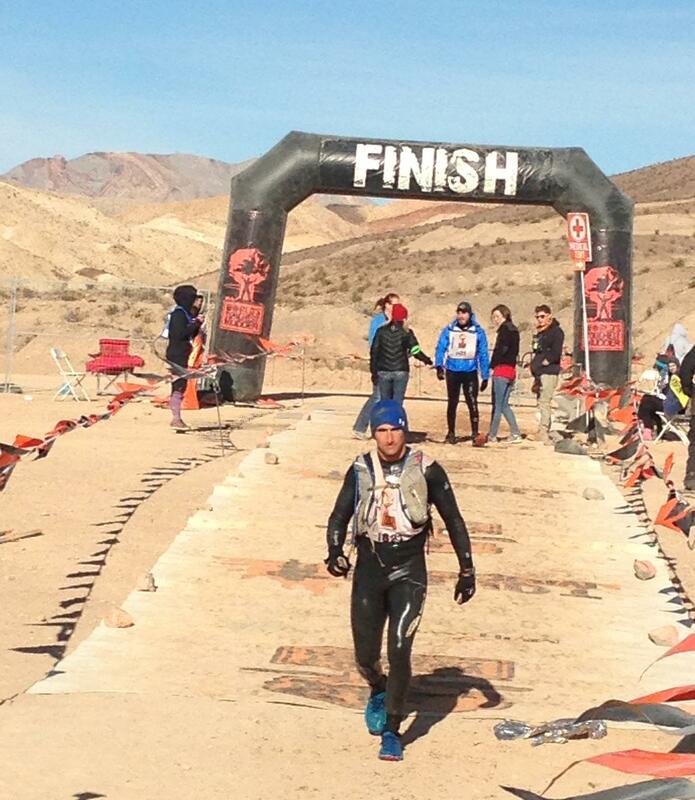 That’s the reason Edward Groleau, a USMC vet, runs World’s Toughest. While he says it’s not the same (and I agree), it is about as close as you can find in the civilian world to that type of brotherhood. Even everyone’s favorite OCR dog Roxie’s human agrees Army’s Desiree Rincon said: “I missed the teamwork and camaraderie that came with the military life”. You are probably reading this and thinking this is the same reasons that anyone runs WTM or other Ultra-OCRs, and you would be right. It is because the vets that line up on the start line are just like you, except with a slightly different life experience. They are your neighbors, your family members, and your friends. You can thank them for their service and that is appreciated but the ones that really need to be thanked are buried in places like Arlington National Cemetery. Continue to thank our veterans in person but if you have some time to pay some respects to our fallen heroes if you get a chance, their families will appreciate it. 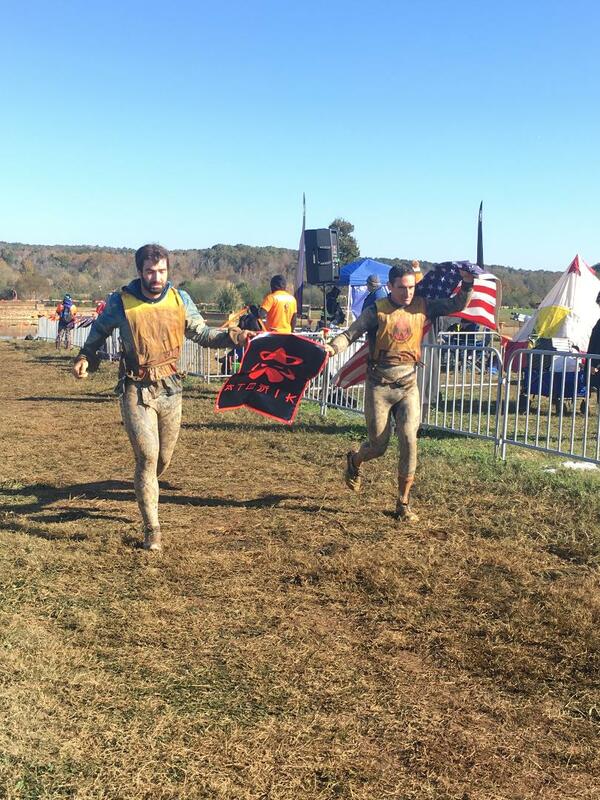 Team Atomik (Wesley Kerr and Army's Evan Perperis) cross the line as 1st place team.